Home » Shopping » How to Save Money While Shopping Online in India? Shopping Online in India is one of the biggest trends in the modern era. From shopping fashion brands to shop for electronic items, things can be very interesting to shop for. Most of the people opt for Shopping Online in India just because the price tends to be lower than that of all the other local shops. However, you may end up saving even more. 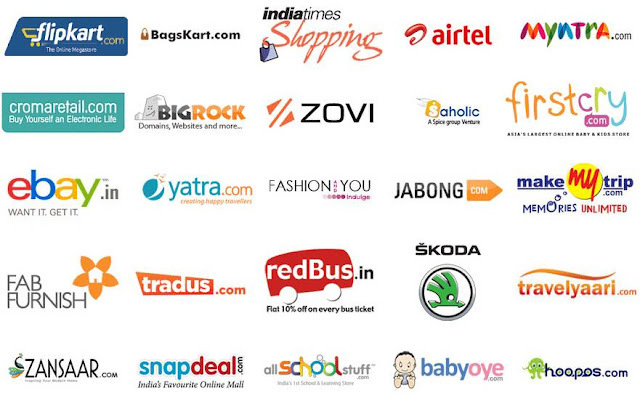 Do you know that you can even save more from Shopping Online in India? Yes, there are many tips and tricks which might help you to save so. Simply follow this guide on How to Save Money While Shopping Online in India. Comparison Shopping is one of the oldest ways by means of which you can save up an immaculate sum of money. There are dozens of websites which offer services of online shopping. There are hundreds of e-commerce stores available and it means that this process would take some time. However, to reduce the time, you can take the help of shopping comparison sites. These stores compare prices for thousands of online retailers. Comparison Shopping is always very special when you need the most. It can come up to be very handy. Discount Codes are probably the favorite things for both online shoppers as well as offline shoppers. Most of the sites accept coupon codes which you can apply during the checkout. However, the most important thing is that these Coupon Codes might expire quite soon. You can also take the help of third party websites which offers coupons. The one thing that you need to do is to fill up the forms and then use these discount Coupon Codes. Such coupon codes may come up with a very limited time and a number of items. This might be very helpful indeed. If you believe that Coupon Codes are the only way to save money then you might be just a little wrong. The one thing that should be on your mind is the cash back exchanges. With special codes, you can save up a lot of money and earn more. The one thing that should be on your mind is just about the wonders that you can get. You can also earn massive cash back from the online purchases. This is simply when you need to have a good amount of discount coupons. One of the best ways to save more money while shopping online is to set price Alerts. There are many price trackers available which give you the opportunity to track the price of a particular product. It lets you know when the price of the product is down and when it may go up again. It is very important to have such a beautiful Price tracker. Generally, they track your keywords and let you know how you can save up money. There are many extensions available on the browser that allows you to notify when the price is down. The next thing that you need to do is to have a look at the best deals. Social media is a big platform that allows you to find the best ongoing deals. This is just the best place where you can gain lots of profits. It may be one of the best ways to follow the pages of your favorite brands or even your favorite shopping site. They might provide discount coupons for your needs. Certainly, you need to have a close watch on the deals. The best sites including Flipkart and other stores provide a good number of promotions and flash sales on their social media sites. You can easily target these. One of the best ways to save up a lot of money is just to research online. You can discover the price and the discounts offered online for the best deals. This might help you to save more in order to have better results. Remember one thing, the more that you can research, the more you can actually save money. This helps you a lot to save more when it is needed. With the best sources, you can get the help of better results. This will help you a lot to save money and find discounts. Sometimes, it is just not your fault to get the best results. All that you need to do is just to find a new Browser. You may find different coupon codes for different browsers. The one thing that you need to do is to make sure that every work is done on the basis of the help of the browser. The more that you search, the more they track the records. So you can implement them.